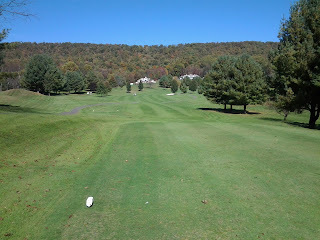 Back in March, I paid a visit to Draper Valley Golf Club in Virginia while on my way to Fayetteville, N.C. Although there wasn't room enough in my schedule that day to get in a round there, I made a mental note to do so on the next "Affordabili-TEES'' trip in that general direction. The "next trip'' is underway, and it got off to a nice start at the scenic layout astride Interstate 81 about 10 miles south of the busy Wytheville exits off I-77. 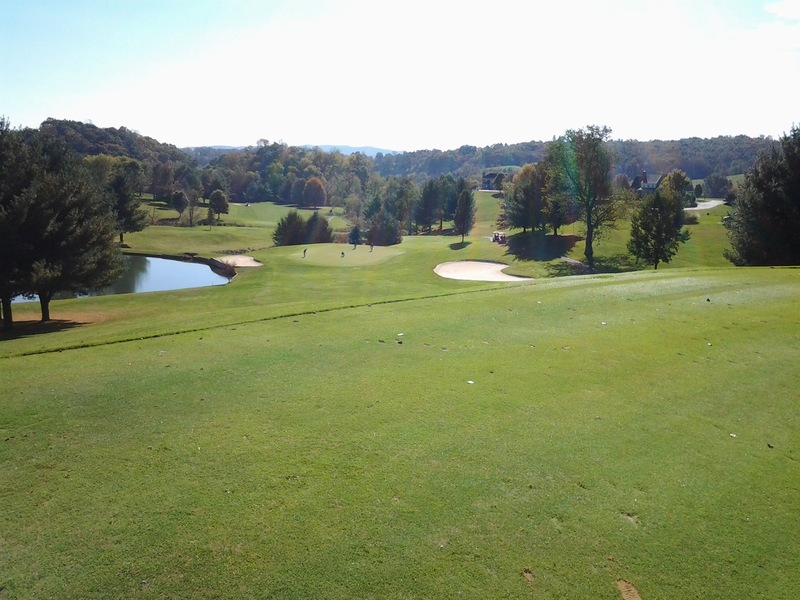 Draper Valley is a public course with a walk-in greens fee of $37. The price point, scenic views and above-average playing conditions makes the course a favorite stop for road-tripping golfers from Northeast Ohio on their way to North Carolina and South Carolina. Joined by fellow traveler and retired Hall of Fame golf writer George Sweda, we worked our way around the par-72, 6,412-yard layout on a sunny but decidedly cool Saturday morning. Quick aside......as a faithful adherent to the principles of "Tee it Forward,'' I always choose the tee boxes playing from 6,100 to 6.400 yards. For those of you who are bigger hitters, Draper Valley stretches out to 7,070 yards. In between, there is a satisfying variety of holes. Personal favorites were the par-3, 163-yard seventh and par-5, 511-yard 13th (see photos below). Our base of operations was the Super 8 hotel in Wytheville. It's a clean, friendly place with a right-in-the-wheelhouse nightly rate of $58. It took about 20 minutes to get from the hotel to the golf course. Here's a suggestion for budget-conscious golfers from Northeast Ohio who want to take a fall golf vacation but only have time for a quick trip. 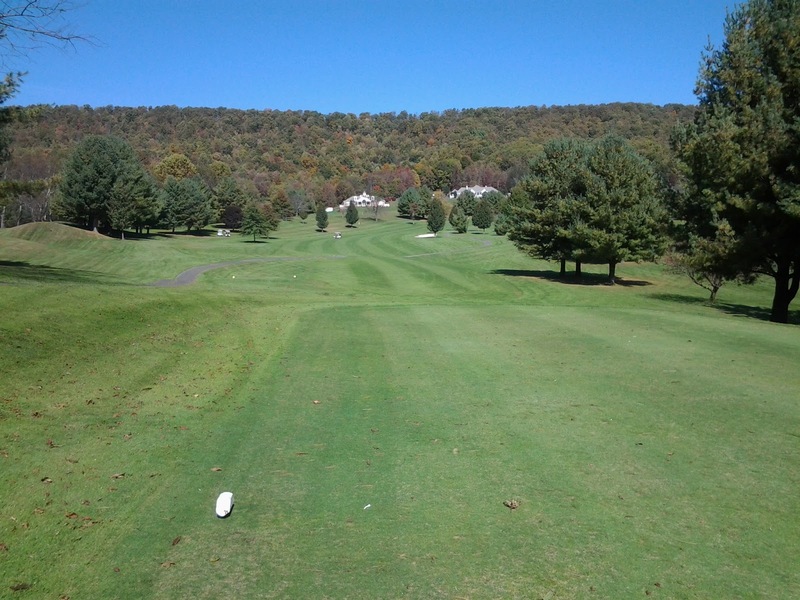 Pair up Draper Valley with Wolf Creek Golf and Country Club in Bastian, about 20 miles north of the Wytheville interchanges. You can leave Friday after work and easily make the 6-hour ride to Wytheville. Play one of the two courses anytime on Saturday, the other on Sunday morning and be back at home Sunday night. As for the meals, affordability is the key, too. Start with the free continental breakfast at the Super 8, have lunch at the courses and dinner at the Sagebrush, a really good restaurant immediately adjacent to the hotel. Greens fees: $37, 18 holes with cart; $35 seniors.